On the surface, a recent article by Patty Hastings in The Columbian about financial difficulties at The Arc of Southwest Washington (TASW), based in Vancouver, Washington (just north of Portland, Oregon), is a typical nonprofit tale. Margins are tight, difficult decisions about expenses and assets need to be made, and there are internal and external tensions and pressures of concern for the board, staff, volunteers, funders, and donors. Ultimately, of course, all of this directly impacts the beneficiaries of the Arc—namely, the individuals with intellectual disabilities who the nonprofit seeks to serve, as well as the communities in which they live. The story also points to broader implications about infrastructure management that are applicable to the nonprofit community as a whole. By their very nature, physical assets like buildings and equipment deteriorate over time, and even with the best of governance and stewardship, accounting for their future maintenance costs is always a paper exercise, dependent upon many future variables. This represents a “double whammy” scenario as described by Clara Miller: Not only do they incur increasing costs, but funders and donors are not easily attracted to investments in repairs and renovations. Understanding the workings of any nonprofit organization should never be reduced to an analysis of financial statements, but certainly TASW is facing challenges 1-2 as identified by Hager and Searing in “Ten Ways to Kill Your Nonprofit”: 1) overwhelm it with liabilities and 2) operate in the red. While caution is always advised with respect to reacting to year-to-year fluctuations in revenues and expenses, the potential albatross of deteriorating physical assets and ongoing deficits—without apparent opportunities to address them—cannot continue indefinitely. Today’s plans for the future of nonprofit infrastructure are not only impacted by obvious financial issues like changes in funding and/or policy, they are also influenced by changing mission-oriented perspectives, with pressures that can come from both internal and external stakeholders. 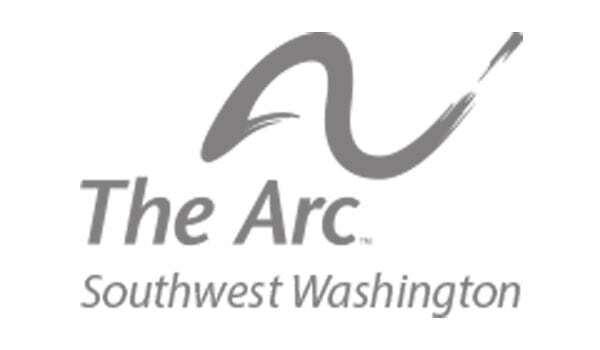 The current challenges and opportunities facing The Arc of Southwest Washington in supporting people with intellectual disabilities (such as Down syndrome and autism) offer a window into similar choices that have been faced or are in active consideration by countless nonprofits that have undergone a similar journey in balancing past legacies with future needs and opportunities. An outgrowth of disparate pre-war movements, led primarily by parent groups seeking a better life for people with intellectual disabilities in the ’30s and ’40s, The Arc was founded in 1950 and now includes some 700 local and state chapters. In the early days of the movement, supporters were driven by a desire to improve the existing institutions that were home to their loved ones, while at the same time questions were already being asked about whether or not a life lived in institutional settings was appropriate or necessary for the population. The deinstitutionalization movement of the 1960s was in response to the significant human rights violations experienced by people in institutions…Unfortunately, the movement of people out of large institutions…without much planning for meaningful community-based alternatives [resulted in] a proliferation of smaller but nevertheless segregated programs and services. We see instead The Arc of Rensselaer County (NY state) sharing their journey from group-based to individualized supports, or a seminar by legendary advocate Ari Ne’eman about “Employment First” the growing movement to eliminate the work-like programs represented by the historical uses of the very type of facility that TASW is currently offloading. It’s a model that still permeates many states across the country, but whether it is being removed via legislation or economic collapse, there’s little chance that it won’t soon exist only as a historical footnote on the continuing path to inclusion. The ownership of physical assets that intentionally or unintentionally reinforce segregation is perhaps unique to particular segments of the nonprofit sector (people with intellectual disabilities, mental health facilities, and services for seniors to name a few) but it extends more broadly to questions about nonprofit purpose: Do they exist to “run programs” or to change society for the better? As the tide of public opinion rises against sheltered workshops and subminimum wages for people with disabilities, nonprofits in Seattle and Illinois face financial penalties.